Perkup Espresso has been providing drive-thru coffee to the Anchorage community since 2001. With locations on Old Seward Highway and Potter Drive, our Anchorage coffee shops are a convenient stop. When you visit our Anchorage coffee shops, you can expect friendly baristas, quick service, and made-to-order coffee, energy drinks, and more. 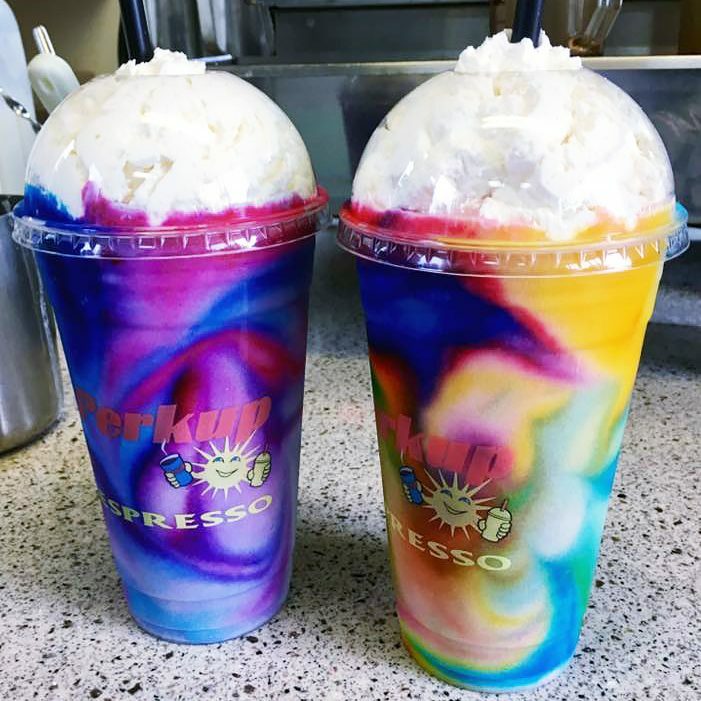 Visit one of our 3 Wasilla coffee shops to try our hand-crafted coffee or colorful energy drinks! We have 2 coffee shops located in the Palmer area. Stop by for a fresh coffee or energy drink and say hello to our friendly team of baristas. Chocolate lovers are crazy about our Mocha Milkshake. 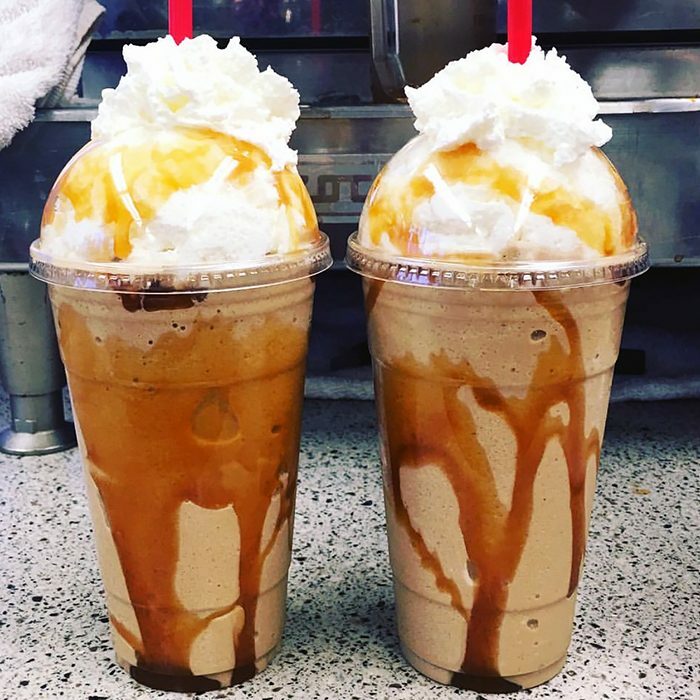 This specialty shake combines real ice cream with a rich mocha sauce for a sweet treat that’s sure to perk up your day. A customer favorite! Our caffeine-loaded Neon Smoothies are a colorful experience for your taste buds. Neon Smoothies are made with either Red Bull or Lotus Energy drinks and come in a variety of flavors. We are one of the only coffee shops in Alaska to carry Blue Lotus and Red Lotus organic energy drinks! Add Blue or Red Lotus to your Italian Soda (or any other blended drink) for a great boost of energy. Spend $10, Get $1 Back! We love our Perkup Espresso customers and appreciate your loyalty. To thank you for choosing our Palmer, Wasilla, and Anchorage coffee shops, we invite you to join our Perkup Rewards Card program. Our rewards program was created with you in mind. For every $10 you spend, we’ll put $1 back on your Perkup Espresso Reward Card. As a Reward Card holder, you’ll also receive a free drink (up to $5 value) on the day of your birthday, so long as we have that information in your customer file. Make sure to let us know what day you were born so we can treat you on your special day! Ask your barista for a Perkup Rewards Card and start saving money every time you visit our coffee shops near Anchorage and Alaska’s Mat-Su Valley. Our Perkup Espresso Reward Cards can be loaded with up to $250 and used as a gift card. Gift cards can be purchased at any of our coffee shops near Anchorage, Palmer, or Wasilla. We offer a selection of bakery items at each of our coffee shops near Anchorage, Palmer, and Wasilla. Start your day with a delicious muffin, cookie, or our personal favorite– Epic Trail Bites. We also offer stuffed pretzels, bagel dogs, and more. 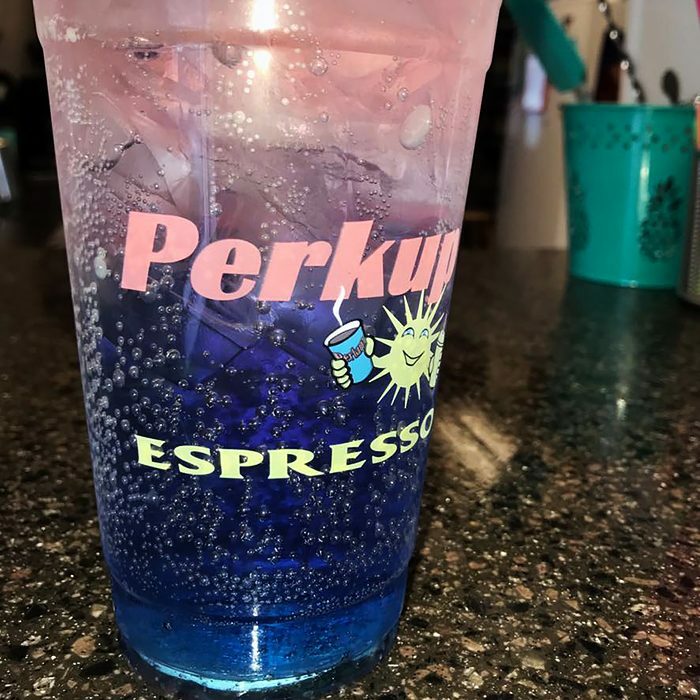 The first Perkup Espresso location opened in Anchorage, Alaska in November 2001. We’ve grown since our first Anchorage coffee shop, but our goal of providing delicious coffee and great service to our customers has remained the same. We love our community and are dedicated to giving back to local schools and children’s sports teams in Anchorage and Alaska’s Mat-Su Valley. We value Honesty, Enjoyment, Accountability, Reliability, and Teamwork– this set of values guides our business and has helped us become one of Alaska’s favorite drive-thru espresso shops. With 7 coffee shop locations in Alaska and over a decade of service in our community, we are the drive-thru espresso stand of choice for coffee lovers in Anchorage, Palmer, and Wasilla. Customers appreciate our friendly baristas, quick service, and handcrafted coffee and energy drinks. You can count on great espresso drinks made to order just for you. We love rewarding our customers! From coffee cards to concert tickets, electronics, and more. Follow your favorite Perkup Espresso location on Facebook to stay up-to-date on our latest social sweepstakes!